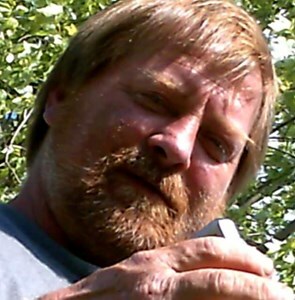 Newcomer Family Obituaries - Charles E. 'Chuck' Galloway 1959 - 2018 - Newcomer Cremations, Funerals & Receptions. Charles E. Galloway "Chuck", 59, of Springfield Twnp., passed away on September 4, 2018. Chuck was born in Akron on May 1, 1959 to the late John and Eloise Galloway. Chuck graduated from Springfield High School in 1978 and spent his career as a brick mason. He loved spending his free time at his "home away from home" with all his close friends at The New Game Time. Back in the 70's, Chuck was known as "the legend of Kim Tam." All who had the pleasure of knowing Chuck, all have an awesome story to tell. Chuck will be dearly missed by his children, John (Kendra) Galloway and Michelle Galloway; siblings, Guy (Inez) Galloway, Arlene (Benny) Crites, and Rhonda Galloway; grandchildren, Kevin Green, Mihaly Galloway, Johnny Galloway, Mason Gruic, Bella Tipton and Mazzie Tipton; and many other family and friends. Per Chuck's wishes, cremation has taken place. A celebration of his life will be held on Saturday, September 15, 2018, 4:00 p.m., at the VFW Post 8975, 1649 Krumroy Rd., Akron, 44306. Please come with your best stories of Chuck. Add your memories to the guest book of Charles Galloway. Charles Elsworth Galloway, my Grandpa was a very wonderful man, He would talk to anyone who wanted or needed too. My Grandpa was a hardheaded man, but he taught me well just as he did for my Dad. Anyone who got to sit down and talk to him would know that he was amazing. I will miss him more than anything in this world. The bad people in this world better be thankful for their lives because people like my family lost a very amazing, hard-working, understandable man.